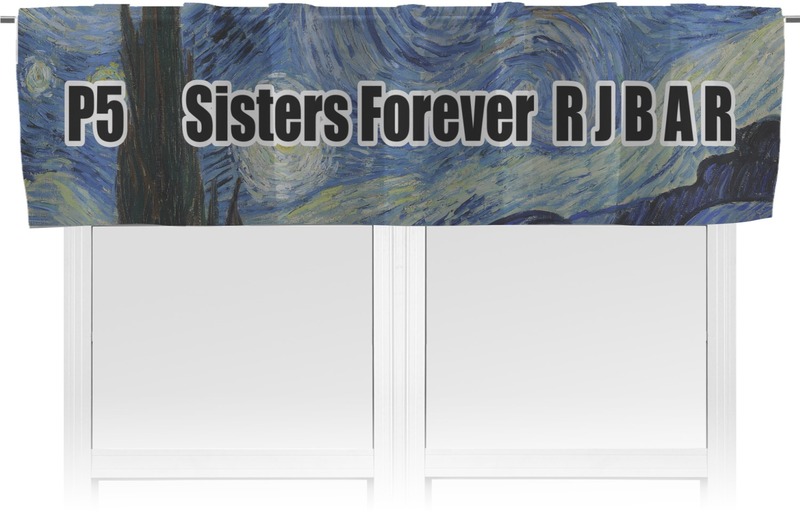 Give any room personality with our personalized valance curtains. 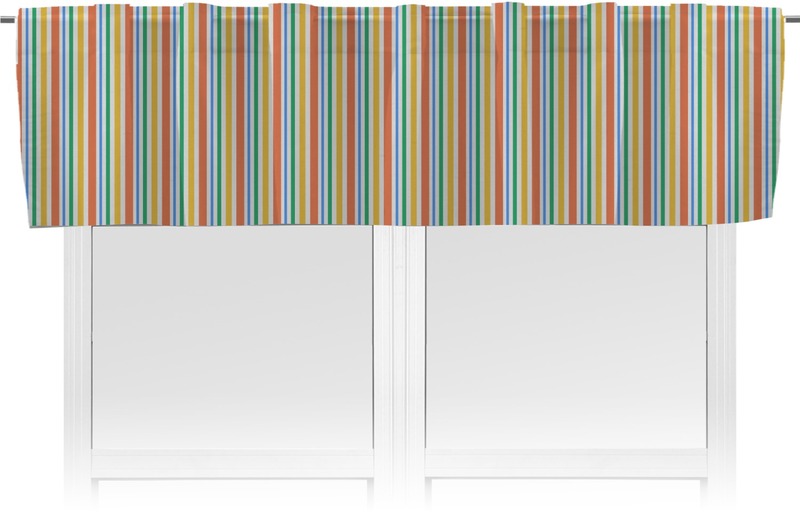 They can make a statement on their own or you can combine them with other window treatments. Valances are also a great way to cover unsightly hardware on your windows. 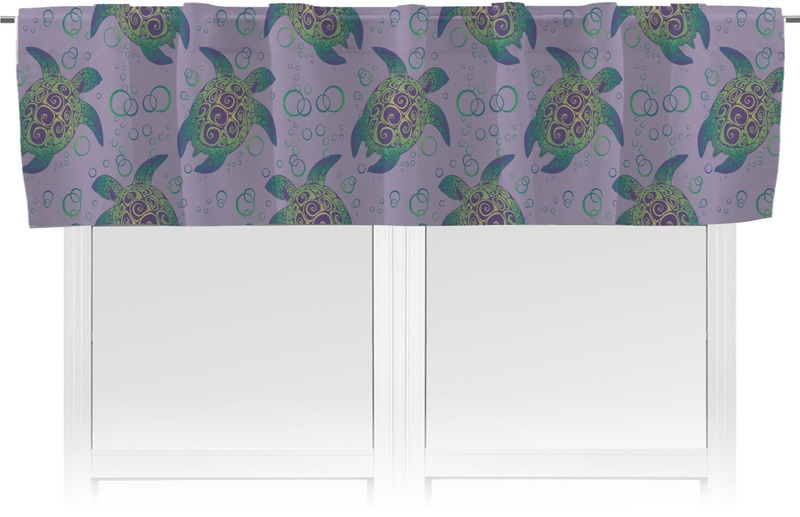 The valances have a 2" rod pocket for easy hanging and are made of a durable polyester that has a light sheen finish. They measure at approximately 60" wide and 14" tall. These valances come in the choice of being lined or unlined. With a lined valance there is simply an extra layer of fabric to ensure as little light as possible will shine through. The unlined valance does not have this extra layer of fabric and will let a bit more light through (but are not quite sheer). Be sure to wash separately in your machine on a cold, delicate cycle. When finished washing, hang to dry. A child will be delighted to have their name on the curtains in their bedroom. A monogram or initial can add a touch of class in the living room or dining room! No matter what you choose in our design center, our prints and patterns look absolutely vibrant on these valances. If you ever need any kind of assistance just give us a shout! Looking to dress up your whole room? Be sure to check out our Bedroom section where you'll find classic curtains, gorgeous drum lamp shades, and even comforter sets! The valance curtain looks great! Absolutely love it and it was shipped and received even faster than expected! It was for my granddaughter room and she loved it! 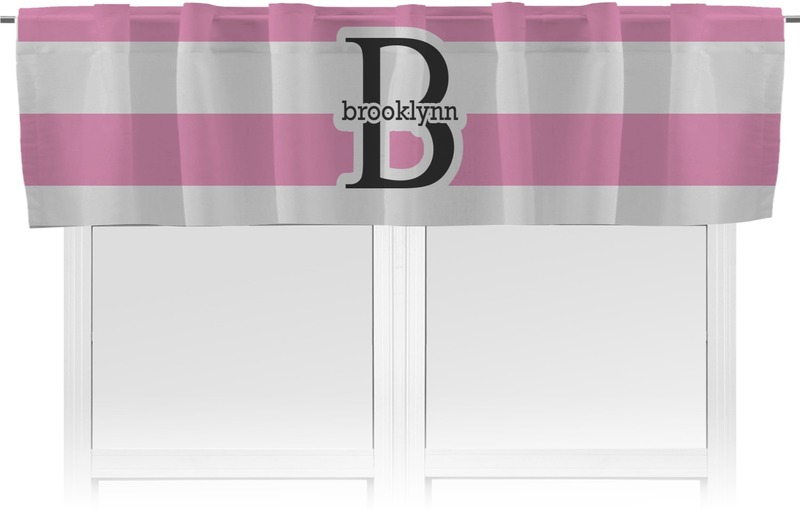 These valances were a surprise for my daughter. She loves turtles and they turned out perfect. It was so easy to design the valances to match her room, and we received them within a week! They look great. Thanks so much! I was very impressed with the service I received. The customization was perfect and it was delivered quickly. I will certainly use youcustomizeit again, and will recommend them to everyone I know!